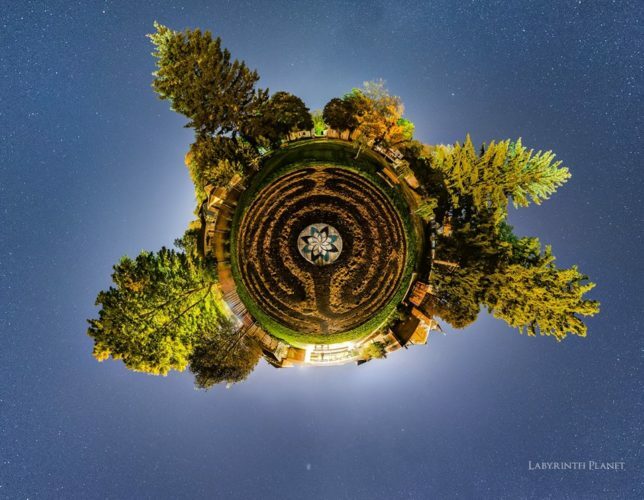 This photograph, titled “Labyrinth Planet” was created by Vincent Brady of Windwalker Underground Gallery here in Charlotte. If features the Congregational Commons labyrinth at night, and is the September image in the Windwalker 2019 Calendar. Please visit their website or Facebook page for more information, and to see other great photographs from around the area.